U of T Engineering alumnus Dr. William (Bill) Winegard addresses an audience at the Winegard Visiting Lectureship in New Materials Engineering. The U of T Engineering community is mourning the loss of distinguished alumnus Dr. William C. Winegard (MSE BASc 4T9, MIE MASc 5T0, MSE PhD 5T2). Winegard passed away January 31, 2019 at the age of 94. His was a life characterized by exemplary service to Canada, both locally and on the national political stage, as well as the scientific and academic communities. Winegard was a proud graduate of both the Departments of Materials Science & Engineering (MSE) and Mechanical & Industrial Engineering (MIE). He established MSE’s Winegard Visiting Lectureship in New Materials Engineering, which ran from 2010 to 2016 and attracted international leaders in the field to U of T Engineering. In 2018, this gift was transformed into the William C. Winegard Award in Advanced Materials, created to recognize MSE MASc and PhD students with exceptional academic performance, who are commitment to metallurgical and/or materials innovation and contributions to the advancement of fundamental knowledge. 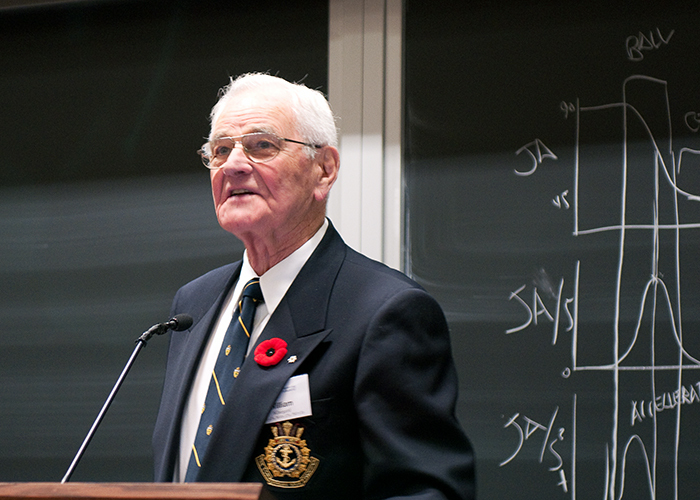 Winegard was born in Hamilton, Ont., and served in the Second World War as an officer in the Royal Canadian Navy. After completing his PhD at U of T Engineering in 1952, he taught in MSE until 1967 before joining the University of Guelph, where he served as president and vice-chancellor from 1967 to 1975. In 1984 he successfully ran as a Member of Parliament for the riding of Guelph-Wellington, and was appointed Minister of State (Science and Technology) from 1989 to 1990, then Minister of Science from 1990 to 1993.